“THE RELUCTANT HEALER” tells the story of Will Alexander, a lawyer in his mid 30’s who finds himself stuck in the day to day routine of his life. Unexpectedly, he meets a woman named Erica at a bar after work. Erica is a social worker who is beginning to delve into the world of healing energy, and she insists that Will is capable of things he never could have imagines. Their relationship develops quickly, and Will soon finds that his strict beliefs may not be as firm as he thought. Over the course of the novel Will begins to experience these healing abilities first hand and eventually becomes a believer himself. This is a debut novel for author Andrew Himmel. Himmel, a lawyer himself, drew inspiration from his own life. He was once a nonbeliever as well, that is, until his wife began to develop an interest in healing energy. While the concept is interesting, I feel that the execution could have been better. The characters are one-dimensional and throughout the book I found myself wondering if they were even supposed to like one another. All of the main relationships in the book seem superficial, even between Will and his parents or Will and Erica, who were supposed to be in love. Author and NYC lawyer Andrew Himmel. Another major issue I had with this book was the way Will both interacted with and thought about Erica. It seemed to me that many of his actions were to pacify and silence her so he didn’t have to listen to her thoughts and ideas. After sleeping together for the first time he even mentions that the event is ruined by the fact that she begins talking right afterwards. This theme continues throughout the book and even Will cheating on her isn’t enough to make Erica stand up to Will, or even really get angry. Such a passive female protagonist makes this story hard to get into. This is a fairly fast paced novel once you get into it. The chapters are short and events unfold one after another. Characters are introduced abruptly and then sometimes fail to make a reappearance no matter how important they seemed to be at first. I would have loved to see these characters and events fleshed out and developed so that readers could have a more emotional connection to them. The main theme of the book seems to be the struggle between skepticism and belief but this is hardly evident. It is obvious from the beginning that Will is going to end up a believer. It does give some insight into the world of healing energy but for people interested in learning about the topic, I would suggest choosing a more realistic source. 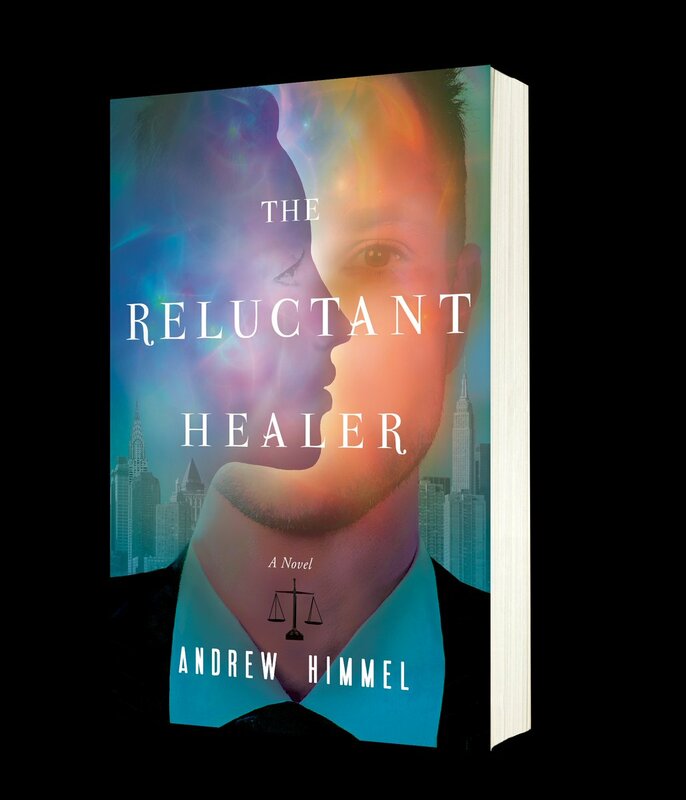 More information about “THE RELUCTANT HEALER” can be found at Andrew Himmel’s website. A copy of the book can be found at Penn Books.